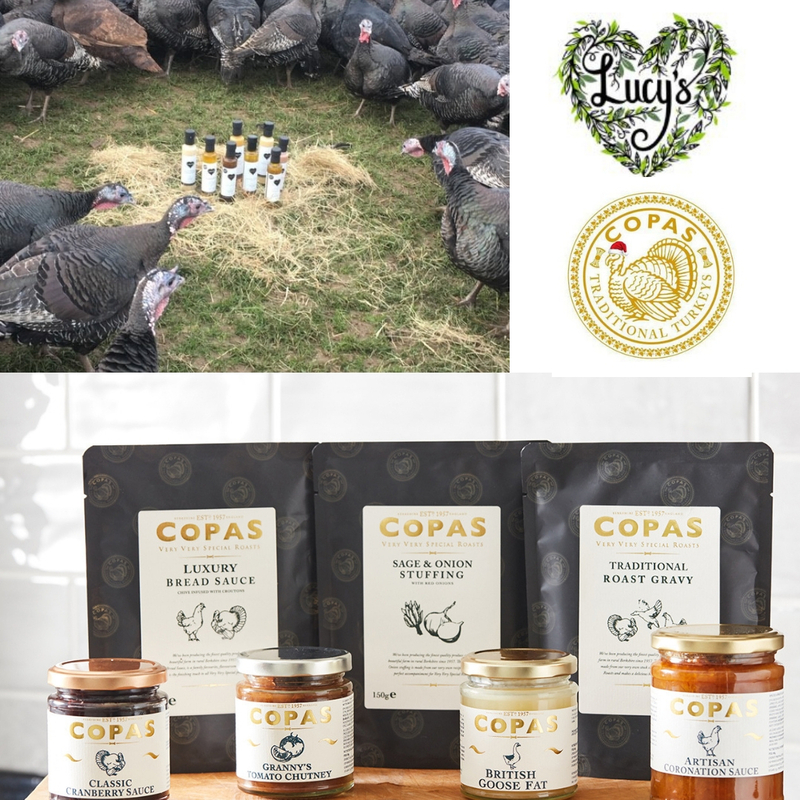 We have teamed up with Lucy's Dressings to offer one individual the chance to win a set of her Lovely Dressings and one of our very own Christmas Day Selections which includes: 1 Luxury Bread Sauce, 1 Sage and Onion Stuffing, 1 Traditional Gravy, 1 Cranberry Sauce, 1 Chutney, 1 Goose Fat and a jar of Coronation Sauce. To enter simply tell us your favourite thing to make with Christmas Leftovers! Prize draw ends at 5pm on Friday 7th December. Click here for Terms & Conditions.